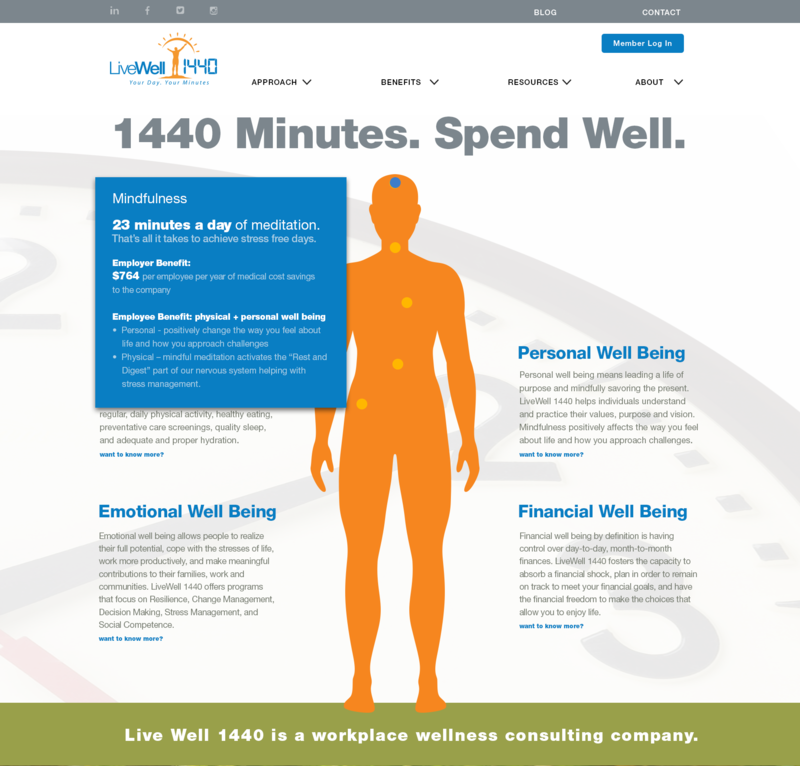 LiveWell 1440 came to me to design a web presence for them. After helping them assess their business focus through a series of discovery questions I designed and developed a visual solution that highlights their business focus. I also helped in rewriting and editing content so that it provided a clearer, more concise message. When the user cursors over a "focal point" on the main silhouette, information pops up explaining how both parties, employer and employee alike, benefit from a healthy lifestyle.